Medicare Advantage Plans offer consumers a variety of benefits when compared to other Medicare supplement plans. If you are debating which program is right for you - Medicare Advantage or Medigap - it's crucial that you examine the pros and cons of each so that you can make the purchase that's best for you. For this reason, let's walk through a few pros of Medicare Advantage Plans and see how they stack up compared to traditional Medicare supplement options. With traditional Medicare supplement plans, consumers who don't enroll in Medicare prescription drug (Part D) typically lack access to prescription drug coverage. In contrast, a report by the Kaiser Family Foundation revealed that 82% of Medicare Advantage Plan holders have access to this coverage. This means that those enrolled in Medicare Advantage Plans do not need subsequent Part D coverage. Because of this, Medicare Advantage Plans may be a cheaper way for some individuals to obtain prescription drugs. Remember, to compare specific Medicare Advantage Plans to other Medigap plans in your area to find the plan that's cheapest for you. Medicare Advantage provides consumers with a relatively cheaper way to access health insurance. In fact, Medicare Advantage premiums for certain individuals are as low as zero dollars per month, with the average range of monthly premiums coming between $0-$100. Compared to Medigap plans, which run consumers between $150-$200 per month on average, Medicare Advantage offers cheaper premiums that may help some consumers manage the costs of their healthcare. Medicare Advantage offers flexible open enrollment periods at the end of every year for consumers wishing to become part of an Advantage Plan. For first-time consumers, there exists an Initial Enrollment Period that lasts the duration of seven months before and after their 65th birthday (or the period leading up to two years of consecutive disability). After this Initial Enrollment Period, consumers have access to additional enrollment periods that can be used to change, add, or drop coverage. Specifically, while the official Medicare Advantage Open Enrollment Period lasts from January 1 to March 3, consumers wishing to update their plans may do so during the Annual Enrollment Period lasting from October 15 to December 7. In addition to this, depending on their situations, consumers have access to Special Enrollment Periods whenever necessary. Traditional Medicare supplement plans, however, offer less flexibility. For example, most Medigap Plans require consumers to enroll within six months of their 65th birthday or from the time they enrolled in Medicare Part B. Because of this, consumers may find it more convenient and gain quicker access to coverage by enrolling in Medicare Advantage Plans. While Medicare Advantage provides consumers with specific advantages over traditional Medicare supplement options, customers should keep in mind the following cons associated with Advantage Plans. While Medicare Advantage premiums are significantly cheaper on average, they tend to have higher deductibles when compared to traditional Medigap Plans. With in-network plans, consumers can be expected to pay anywhere from $3,400 to $6,700 per year in deductibles and copays, depending on their specific plan. This marks a significant increase in out-of-pocket spending when compared to Medigap plans, which cover most or all of Original Medicare's out-of-pocket expenses. Though Medicare Advantage caps deductibles at $6,700 a year, customers with more expensive or frequent healthcare needs may find Medigap Plans more overall affordable. For some customers, Medicare Advantage may prove more troublesome than traditional Medigap plans. This results from the fact that Medicare Advantage Plans ask consumers to pay deductibles and copays directly to their insurance providers. In essence, this means more paperwork to sift through and figure out and more time spent calculating your healthcare expenses. Medigap Plans, on the other hand, often require little to no paperwork. These plans accomplish this by sending automatic checks to insurance providers once deductibles and copayments have been met. Some consumers enjoy the convenience of Medigap's streamlined payment processing. 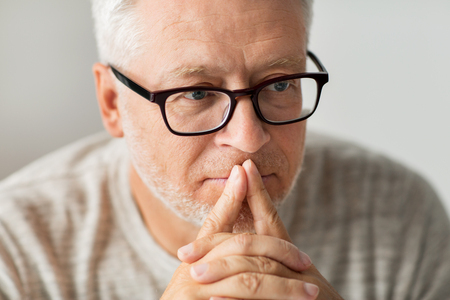 For this reason, it's important that consumers weigh their options when choosing between Medicare Advantage and Medigap Plans. Finding the right plan for you could mean less head-scratching when it comes to your insurance. Most Medicare Advantage Plans are in-network, meaning they allow coverage only with certain healthcare providers. To make matters worse, your plan's network can be altered at any time. Furthermore, doctors and healthcare providers in your area can choose to join or leave the network. This results in overall less stable access to convenient medical coverage. For this reason, it's important to check the specific coverage details of your Medicare Advantage Plan before enrolling. Conversely, Medigap Plans are accepted everywhere traditional Medicare is accepted. This means that consumers are largely free to use their Medigap insurance at just about any medical facility across the nation. Unlike Medicare Advantage Plans, these plans do not operate in a network and are less subject to change. For many, Medigap Plans are seen as a stable alternative to Medicare Advantage Plans. Keeping this key difference in mind can help consumers find the right Medicare plan for them. Medicare Advantage Plans are privatized Medicare Plans that offer consumers expanded coverage over Original Medicare. Medicare Advantage Plans can be used to cover additional costs that traditional plans do not cover, including vision and dental. Over the last few decades, Medicare Advantage Plans have seen a rise in popularity. When compared to traditional Medigap Plans, these plans offer a number of benefits that make them more desirable to certain consumers. Specifically, these plans typically come with lower premiums, expanded access to prescription drug coverage, and greater enrollment flexibility. Despite this, there are certain cons associated with Medicare Advantage Plans that consumers should understand before purchasing their Medicare plan. Specifically, these plans generally have greater out-of-pocket expenses and require more legwork on the part of the consumer. Those seeking additional Medicare benefits, then, should weigh their options carefully to find the plan that's right for them.